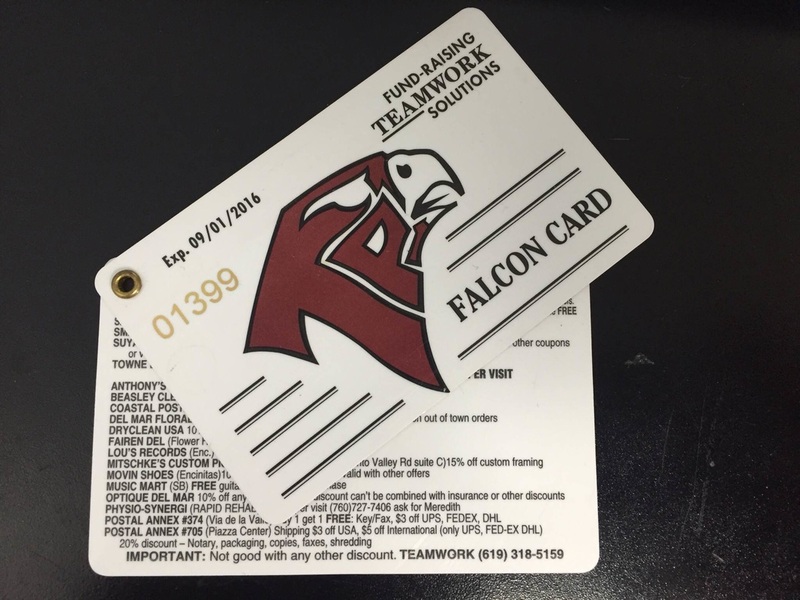 Get Your Falcons Discount Cards! 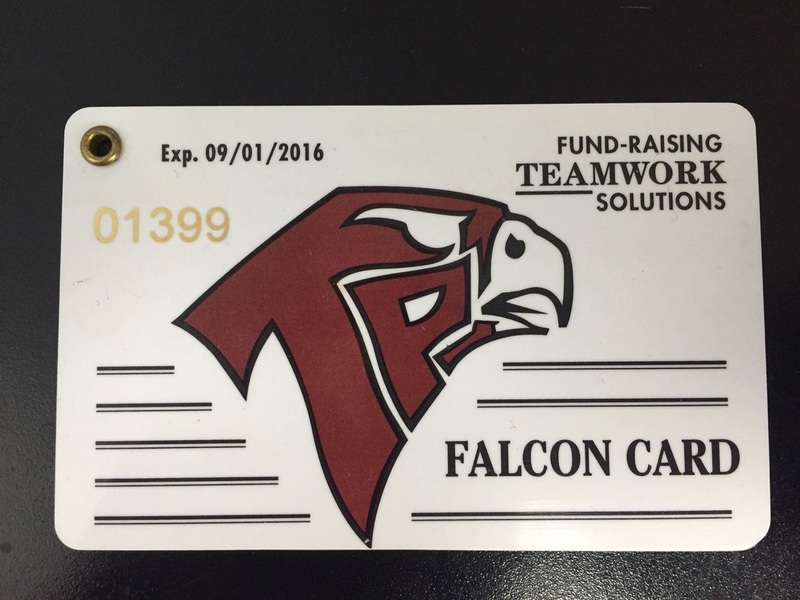 It's time to get those Falcon Cards!!!! For only $20 (and $15 goes to TPFB) you will get discounts at stores and restaurants all over Carmel Valley, Del Mar and Encinitas. From Jake's, Oggi's, Jersey Mike's, Davanti's, Swirls, to Sports Clips for hair cuts, AND car washes, dry cleaning, shoe repair, UPS store and on and on...you can't pass this up! A great way to help out is to buy 5 cards for $100...keep one and sell the rest to your friends and neighbors. Bu you can also just buy one or two. These are great and people call every year to get one as it saves them so much money. 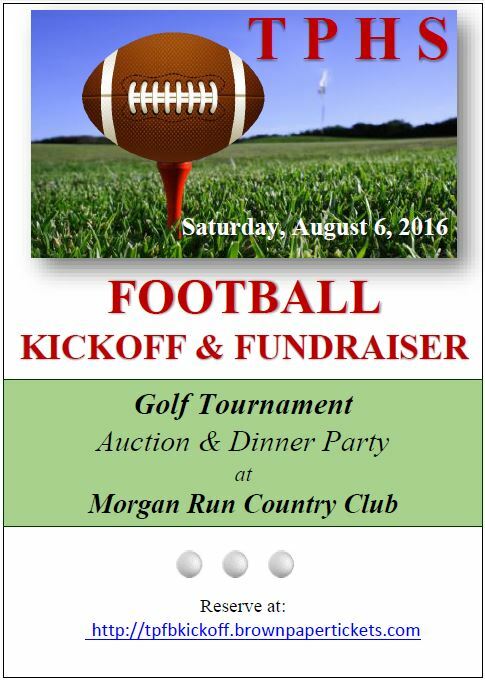 Join us for the 2016 Kickoff Dinner and Golf Event at Morgan Run! 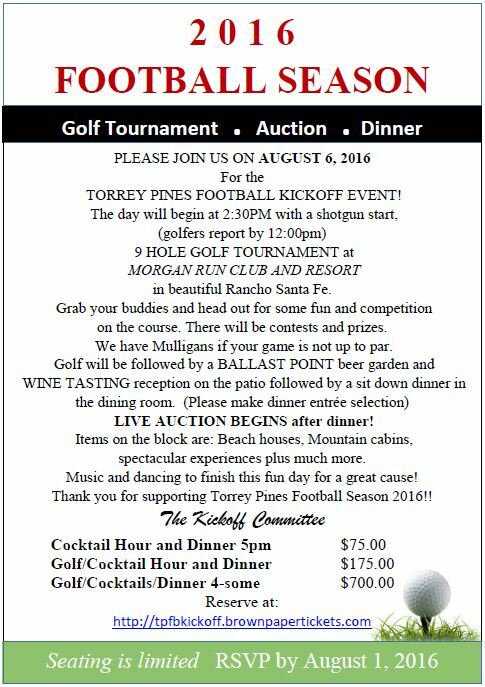 Come Play Golf Games With Us! 6. Pro Shot: For $40 ($10/player), place your ball in fairway 250 yards from tee. from the hat and must hit their tee shot with that club! Check out one of last year's auction winners, Brandon Hong!